Feed you curiosity by reading more about all sorts of interesting stuff about mental health... Sometimes knowing and understanding something can help to cope with a difficult issue. 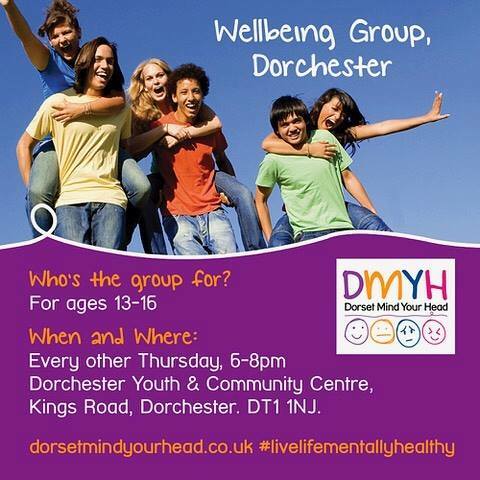 Dorset Mind Your Head helps children and young people live life mentally healthy. We support parents, carers and teachers too. I’m in crisis now and I need urgent help – If you don’t feel you can keep yourself safe right now, seek immediate help, call 999 or call Samaritans on freephone 116 123 – they’re always open and are there to listen. I enjoyed learning about the ways emotions can affect your body and why people feel these things / do things. Enjoyed the breathing techniques you taught us – very helpful. I found your session helpful because I now know what Mindfulness is and how I can use it to relax myself before exams. I found your tips on how to distract yourself when you can’t get out of the way you are feeling, like focusing, really helpful. Really helpful. Good to feel not alone and have techniques to tackle stress and understand how stress works and how the mind processes it. The breathing techniques and Mindfulness were really useful – made me realise that I could control my mental health. The most invaluable thing I learned this year!